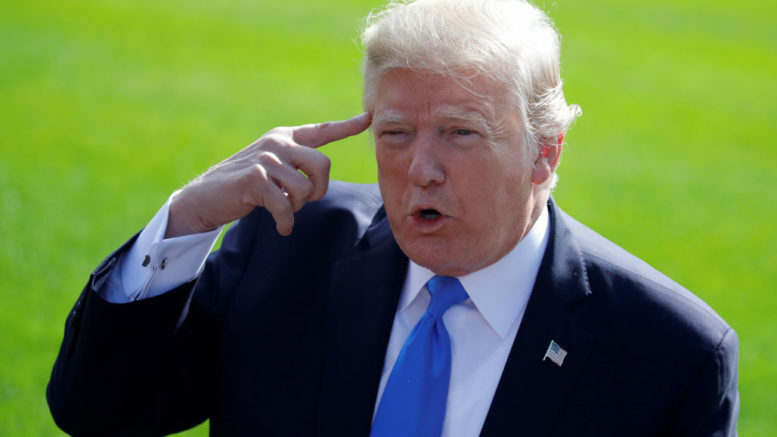 After having what he describes as a ‘that-guy-in-the-bathtub’ moment, President Trump is said to have solved the problem of how to get his border wall built once and for all. Taking his cue from how he ran his many businesses and casinos in the private world, Trump said securing billions of dollars to pay for it was no longer necessary. Nor will he have to go on an executive money grab on the basis of the declared National Emergency. The White House has already drawn up tens of billions of dollars worth of contracts to build the wall using private contractors in record time, but won’t reveal the funding source. 6 Comments on "Trump To Have Contractors Build Wall And Then Just Not Pay For It"
getting tired of COMRADES Trump – McConnell & Grayham — and just as tired of their chief advisors Hannity & Coulter — ENOUGH ALREADY = put them all behind bars . I believe that this man is not only a psychopathic liar,thief,draft dodging,womanizing sloth, but also a true trader, and a danger to the free world. YOU SHOULD BE ASHAMED WE MIGHT AS WELL SAY STEALING MONEY FOR YOUR OWN BENEFIT AND EGO.CHRISTIANS DOESN’T DO THAT.WHAT DO YOU PEOPLE THINK OF HIM NOW.YOU BETTER OPEN YOUR EYES AND SEE HE IS A THIEF. satirical articles are such a waste of time! Is it satirical? Yes. Is it true? Probably.